IN recent years, disruptive forces have transformed how we think about entire industries. Spotify with music. Grab with transport. Netflix with television programmes and films. Technology has changed the way we think about things that we used to take for granted. Slowly, but surely the way in which we think about offices, and how we work, and productivity, has been changing too. We are now approaching a tipping point — and the results of this will transform the working experience for millions of people. For smart businesses, this is a revolution that will create competitive advantage, cut costs and help attract and retain talent. First, the rapid acceleration of technology has changed what’s possible. We might consider that we are already living in a technology-enabled revolution, but a great shift is coming in the next three to five years. Within two years, 80 per cent of the world’s population will own a smartphone. The cloud will continue to grow exponentially, with over 50 per cent of Internet traffic potentially coming from Internet of Things sensors by 2025. By 2020, 4G connections will represent 61 per cent of the total. Put simply, it’s becoming increasingly easier for a person to plug in and work more productively than ever from anywhere. Technology is creating an economy that has the propensity to empower more people globally. within which they can experience the benefits of a collaborative community, without wasting hours of their day. 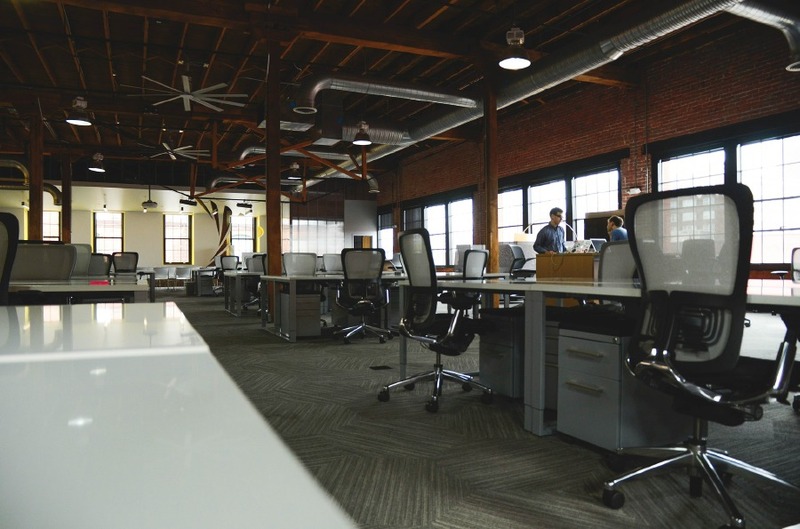 It is no surprise that 69 per cent of millennials would trade other work package benefits for better workspace. On financial benefits and strategic management — this allows large businesses to become nimble. A business can move people into a new market quickly and take them out again when required. They can move their people close to their suppliers. They can do all of this without committing to long leases and expensive relocation costs. With the right partner, this workspace revolution will bring benefits to smart businesses of all sizes — from start-ups to large, international businesses. For start-ups the benefits are immediate. An entrepreneur wants to focus on growing their business, not spending time and money on real estate leases. But they can’t compromise on those things that are expected of every professional business — best-in-class IT, security, telecommunications capabilities. Even as a fledgling business they want to have a base where they can bring potential customers and partners for meetings without letting down their brand. And, of course, a start-up with a handful of employees can only benefit from establishing their own professional community — a network with whom they can talk, brainstorm new ideas and forge new relationships. Flexible workspaces provide answers to all of the above. somewhere other than the office for at least one day. More than half (53 per cent) work remotely for half of the week or more, whilst one in 10 (11 per cent) work outside of their company’s main office location five times a week. A flexible, efficient workplace can be a catalyst for change, enabling businesses to extend their reach to secure the best and brightest from anywhere around the world. In the past two years, the survey has shown that the figures have jumped up by 15 to 20 per cent. At this rate, 100 per cent of businesses globally will be using flexible working as a strategic advantage within the next three years. A “one-size fits all” approach wouldn’t work for any aspect of a successful business. For too long, however, this is exactly the approach most businesses have taken for their offices. This has happened because most people didn’t see any alternative. Just as a decade ago there was no alternative to buying music. Then Spotify came along.